Omg i absolutely luv this! 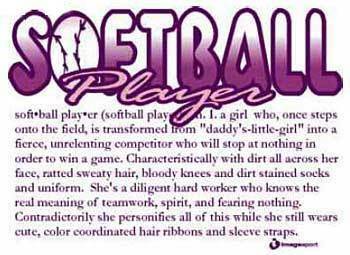 its so true and i just luv softball! its my life nd i hav been play since 1st grade (in 9th now). cant describe how much i luv this!